Manchester United had a poor transfer window in the summer, as Jose Mourinho managed to add only 3 players to the squad, after club CEO Ed Woodward refused to release funds. Brazilian midfielder Fred could be considered as one of the better signings for the Red Devils this season. The 25-year-old completed his move to Old Trafford from Shakhtar Donetsk for a reported fee of £52 million. 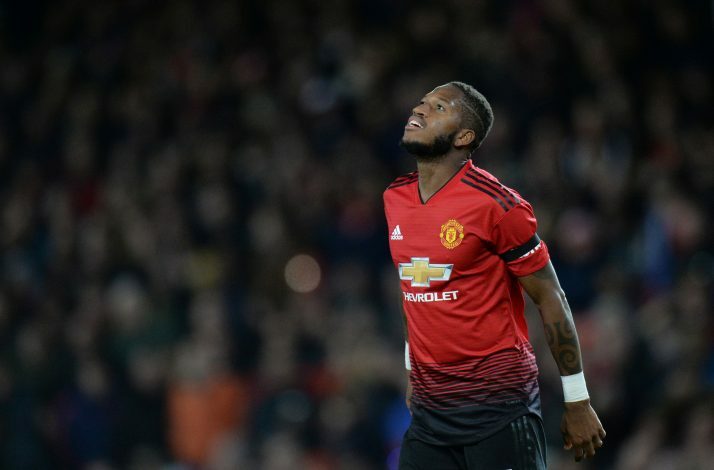 Fred has been in and out of the starting XI, as Jose Mourinho is yet to figure out his midfield trio. In his nine appearances, the midfielder has shown some promise for the Manucians, having already scored his debut goal against the Wolves in the Premier League. Manchester City had shown a keen interest in signing the player at the start of this year. Pep Guardiola had identified Fred as a long-term replacement for Fernandinho, but the move didn’t materialise, as the Cityzens weren’t ready to match Shakhtar’s asking price. In a recent interview with FourFourTwo, the midfielder has admitted that he had contemplated a move to Manchester City, but was eventually convinced to move to the Theatre of Dreams instead. “That’s true, I received an offer from them [City] and even talked to my Brazilian team-mates who play for our neighbours,” Fred revealed. The dynamic midfielder further added: “Mourinho is a top, top professional and every player likes to work with such a winner. I’m learning things from him, that’s for sure. He can be quite strict, but that’s part of his job. Fred will be hoping to start in this weekend’s Manchester Derby, as Mourinho eyes a victory over his rival, Pep Guardiola. The hosts enter the game as favourites, but United cannot be written off easily, especially after their recent performances against Chelsea and Juventus.